Recently I was looking into different ways to preserve fresh baked breads. I love having it on hand but I never seem to use it all before it gets stale (or in some cases moldy). I found THIS POST about slicing the bread up, wrapping it in tin foil, and putting it in the freezer. I was a little skeptical, I don’t want bread that tastes like freezer burn, but I gave it a try anyway. I took a fresh baked French baguette that I bought at Sam’s Club, sliced it in half (sandwich style), wrapped it in foil, and tossed it in the freezer. Now what will I do with it? I had tomatoes, red onion, mozzarella, and French bread on hand…so I made some bruschetta-ish appetizers. Take your French bread slices and pop them into your toaster oven until crisp. 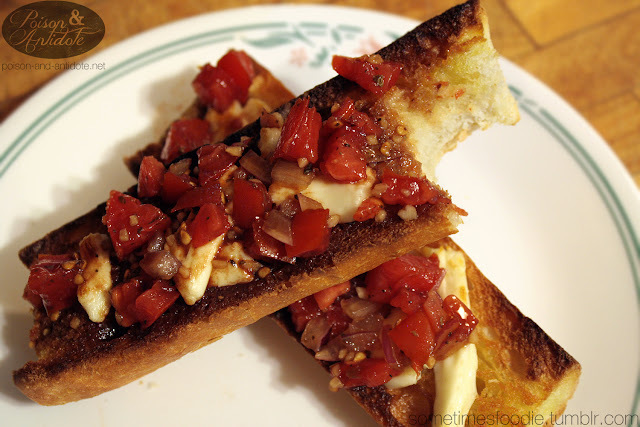 Add your minced garlic to the melted butter and brush it on top of each slice of toasted French bread. While those are in the toaster oven, mix the remaining ingredients together in a bowl and let it sit until the French breads are ready. Once the cheese reaches the desired melty-ness add your diced tomato mixture and you’re all done. 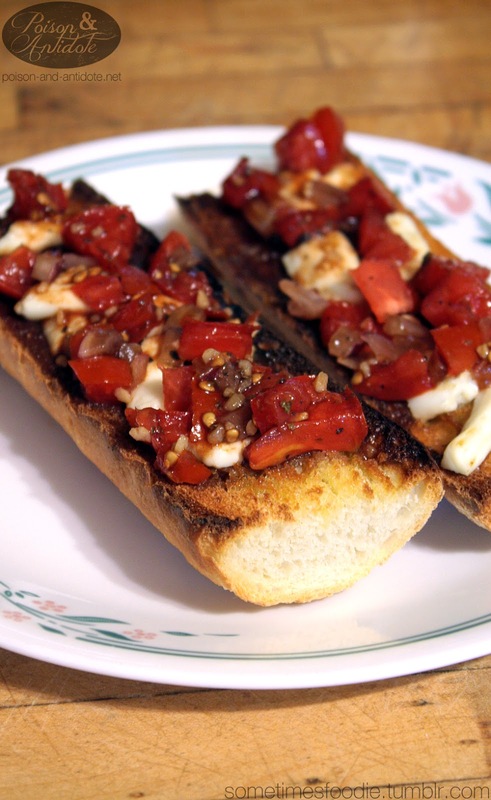 Yummy, relatively easy, and a great way to use your leftover (frozen) French Baguettes.